Are you surprised to see your child throwing tantrums and sulking in the corner? Well, worry not. It’s quite common in children. Contrary to popular belief that mood swings happen only in adults, children do tend to get moody and sullen. Children get moody at times because of their inability to vent out their frustrations and disappointments. While it often gets frustrating to deal with a moody child, you have no options but to handle your little one. Child development experts suggest that moodiness in children is very common. It is just that some tend to be more moody than the others. If you think this is becoming his innate character, you can always bring it to the notice of your doctor. But that is an extreme situation. In most cases, you can handle the problem at home. The way you respond to your child’s behavior determines how it will make a difference to his behavior. In the article below, we look at what makes young ones moody and how to deal with mood swings in children. 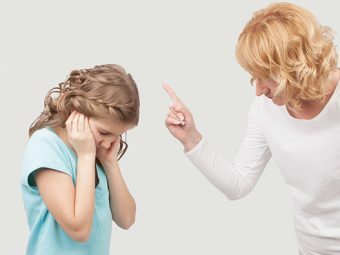 Here are discussed some basic principles that you need to keep in mind when it comes to parenting your moody child. 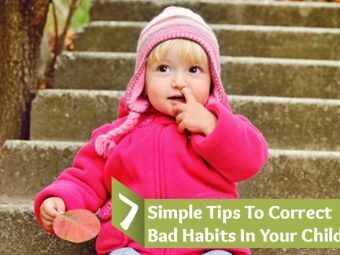 These pointers will help you tackle the situation better. Take a look. How you bring up your child makes a lot of difference. No matter how busy you are, it is important to spend quality time with your child. Children feel secured with parental attention. Ideally, both the parents should spend quality time with him. Your home should be the place where your child can express himself without any fear. Sometimes children get moody, as they do not know what to do. Children adopt a passive behavior to showcase their displeasure. It is important that both of you, mother and father, sit together to come up with methods of expression for your child. You can bring to his attention that instead of sulking, he can communicate the problem with his parents. Let him know clearly that you or your partner will not respond to his negative behavior. Make sure you do not overreact when your child is being moody. This will only give him more power to show bad behavior. The best thing you can do is ignore him. If you stop acknowledging his behavior, he will stop acting that way. As a parent, you should keep stress at minimum at home. Children get affected the most in stressful situations. When they are affected due to a stressful time at home, children become moody and anxious. Anger stresses out children very easily. Make sure you avoid anger even when you dealing with your moody child. You need to ensure your child is in proper health. He must get all the essential nutrients. Multi vitamin supplements ensure he gets everything his body needs. B vitamins are known particularly to uplift moods. Essential fatty acids available from fish oil can also be effective in this case. Allot a special time just for complaining. Tell your young one that during this time, he can talk about things that bother him. If the time is over, ask him to continue with his complaint list the next day. When there is a complaining slot, your son will have to think of the things he wants to complain about. The method, eventually, will reduce his habit of complaining and whining. A moody child can be difficult to manage, but you can always devise good strategies to handle his temper tantrums. 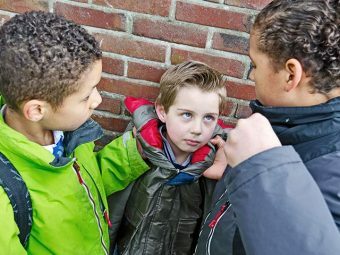 We hope the strategies discussed above help you deal with moody children better. Do let us know in the comment box below if you have better ideas to handle children mood swings.